In lieu of a regular outfit post (which I'm once again behind on), I wanted to share with you all some special news... I'm engaged! Congratulations! 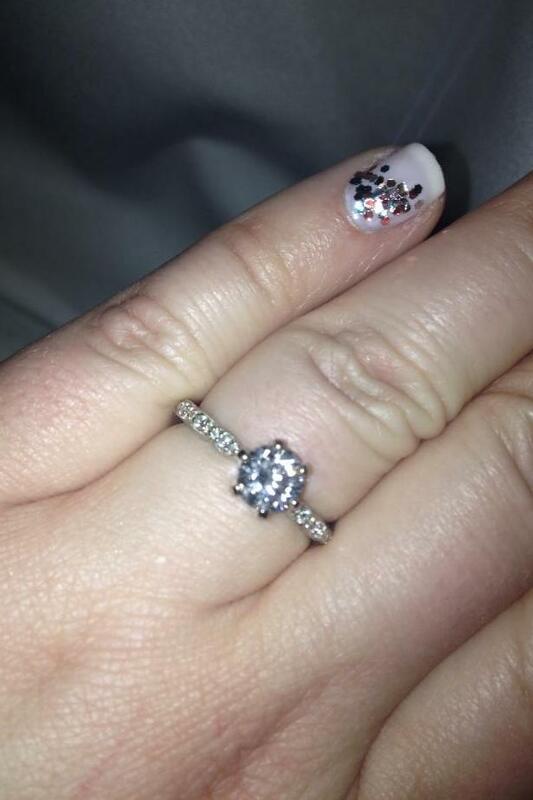 Beautiful ring, and what luck you had such a beautiful manicure on hand, to boot! Can't wait to see the wedding-related posts! Congratulations! Looking forward to the Surely Sonsy Wedding Special! Congratulations to one of my most favorite bloggers. You look radiant--and Bob looks so happy...and I love the nails!!! Congrats again! Wonderful news! Big congratulations, happiest birthday wishes, and ENJOY this memorable holiday season! Congratulations! Wishing you continued happiness & lots & lots of loooove! Happy Birthday and CONGRATUFREAKINLATIONS!!!!!! I feel like I know you from reading your blog so I'm really really happy for you! Also, REALLY EXCITED to see what an amazing wedding and gorgeous outfit you're gonna put together!!!!! Congrats and happy birthday! Your ring is beautiful, and you two look adorable! Congratulations!! And happy birthday! Enjoy this amazing feeling and just BASK in it! Also, when you start looking at wedding sites - apracticalwedding.com. There's also a book. Best wedding stuff out there. Congrats! Don't go reading wedding stuff yet, just enjoy! Congratulations! 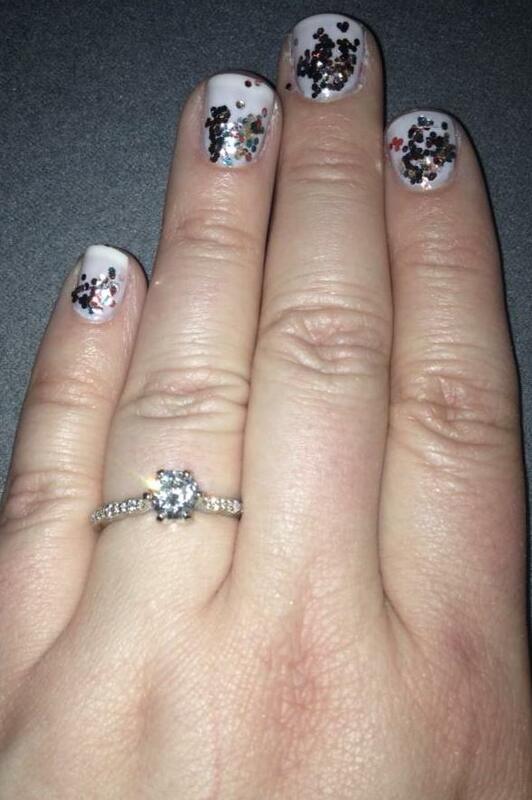 Your fancy manicure loks great with that beautiful engagement ring! Congratulations on your engagement! And I love your manicure as well. Congratulations! Happy Birthday! I'm a recent reader to your blog and I love it. Congratulations! Love the ring and manicure!! Congratulations on your engagement! I very much enjoy your blog. Merry Christmas! Well dayum, what took him so long? You are obviously a keeper! Mazel tov, happy birthday, and happy holidays!! Happy Birthday & Congratulations! I'm so excited for you and Bob!!!! Have a blessed holiday. Happy belated bday and congrats! Congratulations!!!!!!!!!!!!!!!!! Thanks for sharing the wonderful news with all of us! Congratulations! How sweet that he got down on one knee! Congrats! What perfect polish for your new sparkler :) Happy Birthday and on to picking out all of the cool outfits...shower, rehearsal dinner, engagement party and on and on. Congratulations Jessica!!! 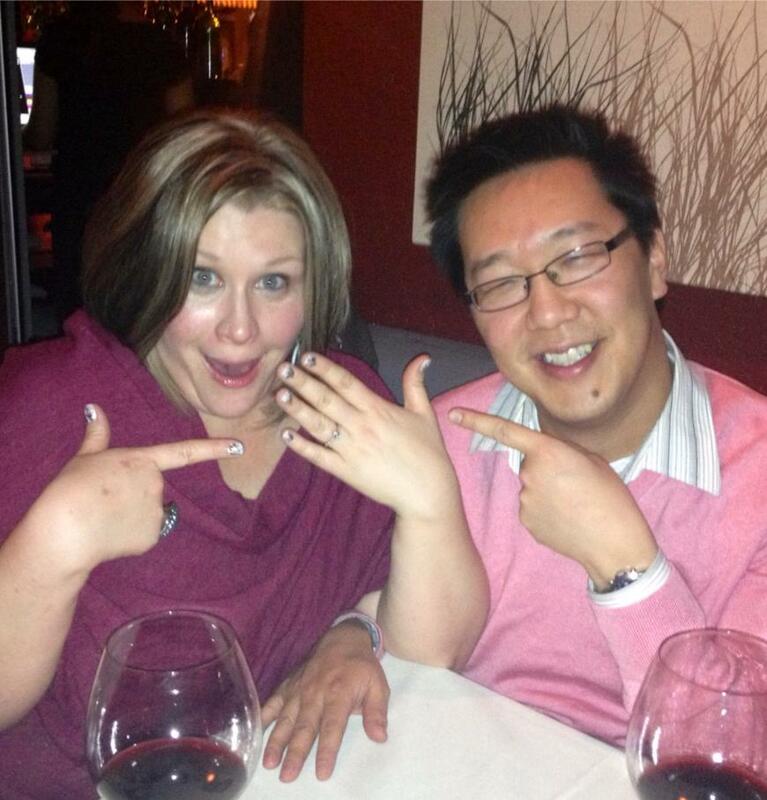 What wonderful news & a very pretty ring!!! CONGRATULATIONS!! Wishing you a lifetime of happiness. 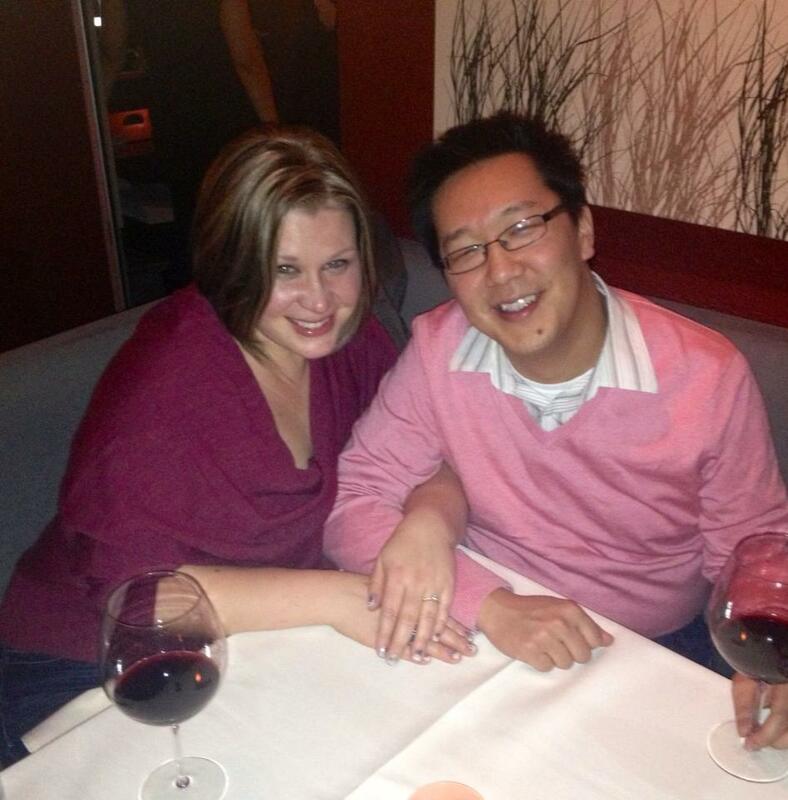 Enjoy every moment of this time, my husband also proposed after we were together 8 years! Cant wait to see your wedding choices.